Evaluate the customer-s current capacity requirements. Again this can be done via vROps and via the usage of dashboards or just via the built in categories provided by vROps. Apart from this I personally can’t see any other ways to cover this piece so if you think of anything then please do let me know. Recognize organizational structure and governance requirements. Governance for companies is a major design challenge but is also one of the biggest requirements you have to meet during a project. There are a wide range of governance policies out there from PCI to security hardening to HIPAA. For this piece I am taking it that during a design scenario the customer will mention some kind of governance they need to keep to and this decision will obviously impact how the solution is designed. Organisational structure is understanding different departments and their possible requirments for separation and seeing as vRealize Business is mentioned in the study tools in the exam blueprint then the ability of vRB to do show-back and chargeback on different departments/Business Groups within vRA. This is a lot like a previous sections requirements where you need to understand how an application is architected to meet the requirements of the application. As I mentioned this can be done via your design workshops with the application owners and via vRealize Infrastructure Navigator. Once you have an understanding this can then be mapped out in Application services or via the usage of multi-machine blueprints to name but two options. What they are going to test you on here is most likely diagrams of applications and then understanding how they are configured. Or possibly even a Visio style diagram where you have to take their text information and design the applications architecture in “AS”. Practicing doing this kind of design in Visio is a great way of practicing this skill. If you disagree with anything I’ve said above then please let me know and if I agree (I’m always open to learning) then I will update the posting. Now onto objective 2.1. 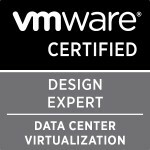 Categories: Automation, Certifications, VCAP, Virtualisation, VMware, vRA | Tags: CMA, design, VCAP6, VMware, vRA, vRealize, vRealize Automation | Permalink.